A number of venues including themed pubs, eateries and a nightclub joined forces to create their own loyalty card to encourage customers to spend more regularly with them and to offer them special discounts. 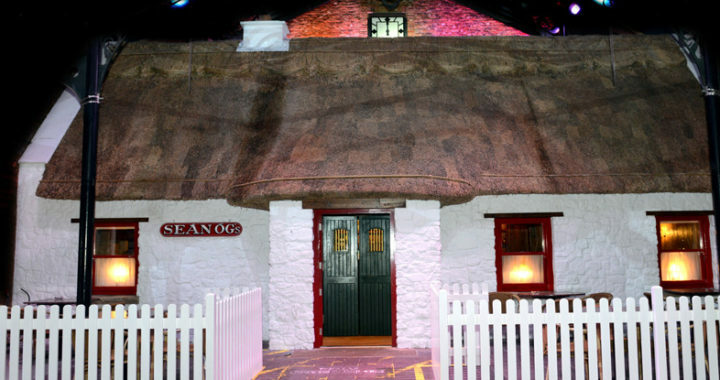 Main Street in Omagh, County Tyrone, consists of Rue, Seán Óg’s, The Ostlers Arms, Mantis and an open staged area for live music and entertainment. The scheme allows customers to redeem offers in all of its venues. Leading loyalty reward specialist Loyalty Pro worked with Main Street to create the trading group loyalty scheme, which has processed sales of more than £460,000 over the past year alone. To date more than 6,500 cards have been issued to over a quarter of the town’s population. The scheme has proved to be so popular that it has been expanded to provide extra terminals in the pubs and nightclub. The portability of Loyalty Pro’s terminals even allows for them to be used at a weather dependent outdoor bar in the summer months. The system also provides the option to edit the information returned at each transaction, avoiding potentially sensitive issues around the amount of money people spend in bars. In Rue, which has processed over a quarter of a million pounds of loyalty spend over the past 12 months, the scheme is proving to be particularly successful, with Charlie McBride, Rue’s General Manager, classing the flexibility of the systems as one of its biggest assets. “We’re one of the busiest bars on Main Street and needed a reliable system that would serve us at all times of the day,” Charlie said. “We wanted our customers to feel part of something and creating a loyalty scheme encourages them to come back time after time. “We use many of the different options included in the scheme, for example, we will email or text our database of customers with offers on particular days of the week, or times of year, to encourage greater footfall. Rob Meakin, Technical Director of Loyalty Pro, said: “Main Street wanted a trading group loyalty scheme capable of rewarding its customers and growing with them. “We worked closely with them to create and deliver the Main Street loyalty card and are delighted that it is making them over £460,000 a year. “A single card in multiple venues is both convenient for the customer and a shared cost for the retailer – it’s a win-win situation.